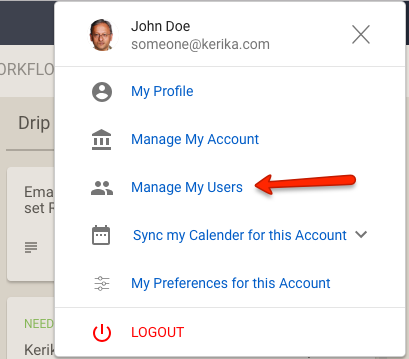 The Account Owner can remove, or downgrade, any member of her Account Team: this is a simple, instantaneous action that can be done while logged into Kerika. The Remove from Account action will remove this person from every board owned by your Account. This can’t be undone, so take care if you do this! The Make This User a Visitor action will change this person’s role to a Visitor, across any boards owned by your Account where this person was originally a Board Admin or Team Member. Use the Remove action when you simply want to exclude someone from everything in your account, e.g. if an employee resigns. Use the Make Visitor action if you don’t expect this person to have an active role in any of your boards, and you don’t want to pay for this person’s subscription anymore. Visitors will continue to show up in your Account Team list, but you don’t need a subscription for them. We have redone our Support page, to include our latest tutorial videos and to also weed out some obsolete references. 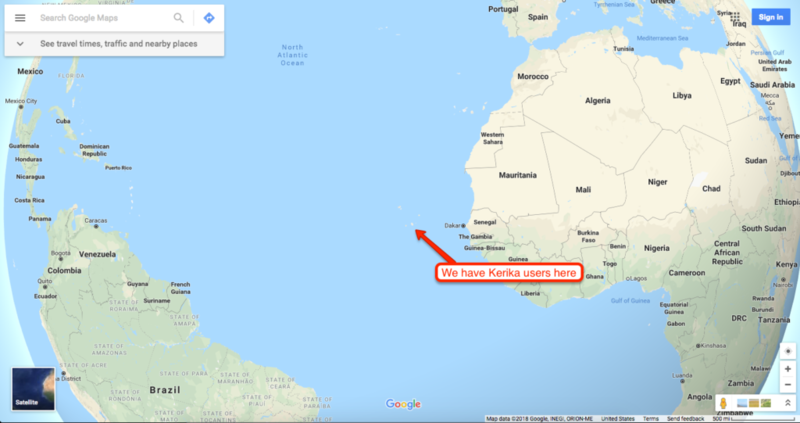 Some Kerika users — specifically those who had signed up directly — had trouble logging in if they had left Kerika running overnight on a browser. Their browser was endlessly refreshing itself, bouncing between the /app and /setup URLs. 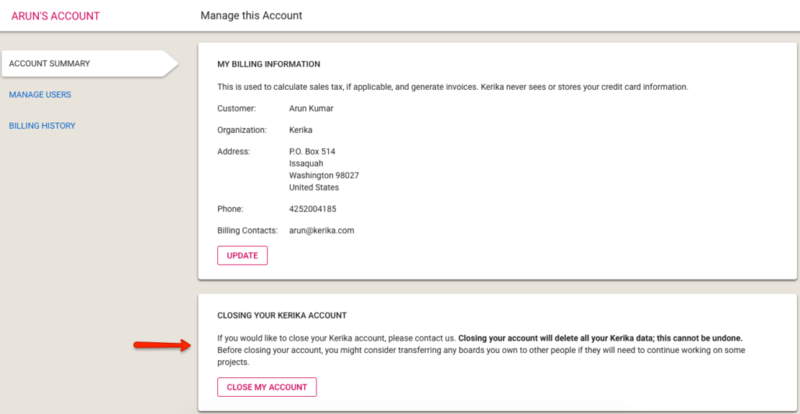 There was a workaround (type “https://kerika.com/logout” to clear Kerika’s cookies) but the workaround was far from obvious, so obviously some people were inconvenienced. This has been fixed now. We found a problem with the configuration of our NGINX web server software. Yesterday we had our first instance of “leaver’s regret”: someone asked us to delete their Kerika account, and we acted promptly upon receiving that request. Too promptly, as it turned out, because a couple of minutes the ex-user changed her mind. But by then it was too late: we had completed closed her account and deleted all the associated data. Maybe we should be a little slower in responding to these requests? Deleting/closing an account is an irreversible action: we scrub all the boards owned by that account, and we don’t have any way of getting that data back. Our goal in implementing this process was to be very faithful to our privacy promises, namely that your data remains your data; it’s never Kerika’s data. But, faced with this leaver’s regret situation, we are now thinking that maybe we should wait, for up to a day, before acting on these requests. 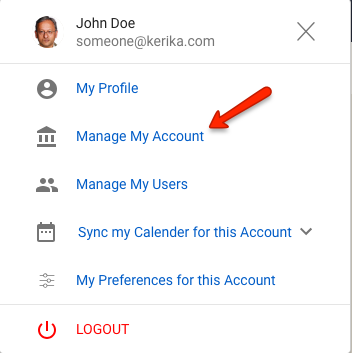 Clicking on the Close My Account button (and the subsequent confirmation dialog box) will generate an email to Kerika’s Admins, who will then manually close the account. We have decided not to automate the actual account closure step since it is irrevocable: once your account is closed, all the boards and content on those boards are deleted and cannot be restored. To help users, we usually wait for a few hours — up to a day at most — before actually deleting the account, in case someone wants to send us an “Oops, I didn’t mean to do that…” email. In an effort to reduce the possibility of Kerika’s notifications ending up in your spam folder, we are making a bunch of changes: one that’s already gone into effect is that all notifications generated by Kerika — for example, when someone sends you a chat message, or you get your 6AM Task Summary email — will come from the same sender: notifications@mailer.kerika.com. It would help us a lot if you whitelisted this sender email, either for your own personal email, or ideally for your organization’s entire domain.